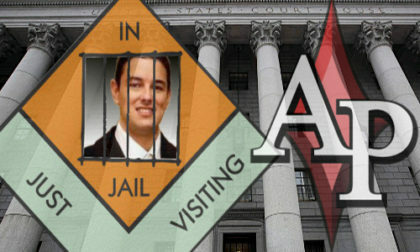 Former Absolute Poker president Scott Tom has been released from US custody following his sentencing hearing in New York and has returned to Antigua, according to news reports. Tom was sentenced last Monday in the US federal courtroom of Judge Barbara C. Moses, being the 10th of 11th individual defendants in 2011’s high-profile “Black Friday” case to answer to United States authorities. Tom’s release and return to Antigua was first reported overnight at CalvinAyre.com. A piece by CA’s Steven Stradbrooke offers the first report on Tom’s sentencing, via information provided through Tom’s attorney, prominent Las Vegas-based gambling lawyer James Henderson. According to that report, Judge Moses “went a bit rogue” by sentencing Tom to seven days in jail, a slight deviation from the time-served request offered by defense attorney Henderson. Henderson argued for that time-served sentence by serving up purportedly similar gambling cases in which the defendants had received probation or minor sentences for relatively minor roles in the offshore but US-facing gambling industry. The unspoken elephant amid the proceedings, however, was Scott Tom’s very prominent role as the founder and president of Absolute Poker, which fled into the night in 2011 owing players at least $30 million in unrefunded deposits. That’s in addition to Scott Tom’s own role as the central cheater in the Absolute Poker “God Mode” cheating scandal, for which he has never answered to justice. Tom’s sentence in the Black Friday case was also due to a plea deal that saw most of the felony charges dismissed. 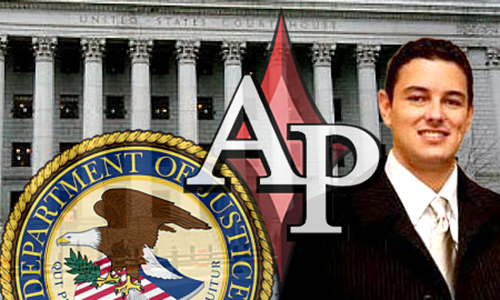 Scott Tom actually pled guilty to just a single count of accessory after the fact to the transmission of gambling information, which was a laughable minimization of Tom’s prominent role at AP. Tom kept his own name off of most of the payment-processing trail, instead leaving his step-brother, Brent Beckley, to take a larger hit for those crimes, including a brief stint in a Colorado federal prison. Scott Tom also paid a relatively paltry fine of $300,000, plus some administrative fees. In his plea deal, Tom had already accepted that he would be removed from the US at some point following his sentencing. Tom traded in his US citizenship long ago for the buy-a-passport program of St. Kitts and Nevis, which he testified to as his country of citizenship in a pre-sentencing hearing. Tom may also possess citizenship in Antigua and Barbuda, where he operates a high-profile party boat anchored in an Antiguan harbor that caters to upscale clientele. Tom’s removal to Antigua means that he was sentenced to “non-custodial” probation last week, as opposed to the custodial version which would have required him to remain in the US for a year. Tom apparently displayed one last bit of judicial chutzpah, however: The CalvinAyre update reports that he was so sure of being released immediately that he’d purchased a return-flight ticket to Antigua for September 30th. Tom’s effective deportation to Antigua likely ends his saga in the online-gambling world, though with relatively free rein and plenty of income and assets squirreled away, one can never be sure. The conclusion of Tom’s case leaves only PokerStars’ original co-founder Isai Scheinberg as a defendant in the Black Friday case. However, there appears to be no real effort by US authorities to pursue the Scheinberg matter. There’s a night-and-day contrast between the vilified Tom and the widely-respected Scheinberg, and in fact, the tens of millions used to refund AP’s abandoned players came from the massive settlement negotiated by Scheinberg’s Rational Group to settle the PokerStars portion of the case.